The residency was an opportunity for me to finally visit the fantastic place I've missed too many times within Bioart Society activities and it also felt like coming home; I think I've been in the South for too long. During the residency, I wanted to continue my work with emphatic inter-species communication experiments. I looked at the possibilities to find research data to connect with my current work where I try to find equally measurable data from two species, one being a human. I was inspired by the research done in the station by Elina Kaarlejärvi (Umeå University) who studied the affects of herbivore gazing on tundra and immigrant species (noted that this is not the only research project on these matters). It seems that herbivore mammals like reindeer, hare, vole and lemmings may protect the tundra plants from immigrant species which come along with the climate warming. They eat these higher-growing immigrant species and give space for the smaller tundra plants. How do the herbivore experience this as protectors of tundra vegetation? And what needs to be protected or preserved? The plants protect themselves from herbivores with chemical signals (volatile chemicals). Plants can eg. call carnivore insects that would then eat the herbivore insects. I'm not sure if this has any affect on mammals, though. But recent evidence suggests that plants respond to the sound produced by herbivore feeding to increase their production of defensive chemicals. It's been studied that the damage caused artificially, causes different kind of emissions of volatile chemicals. Could there be a way to communicate with the tundra plants that they should guide the herbivores towards immigrant species? Or who is actually welcome in the end? 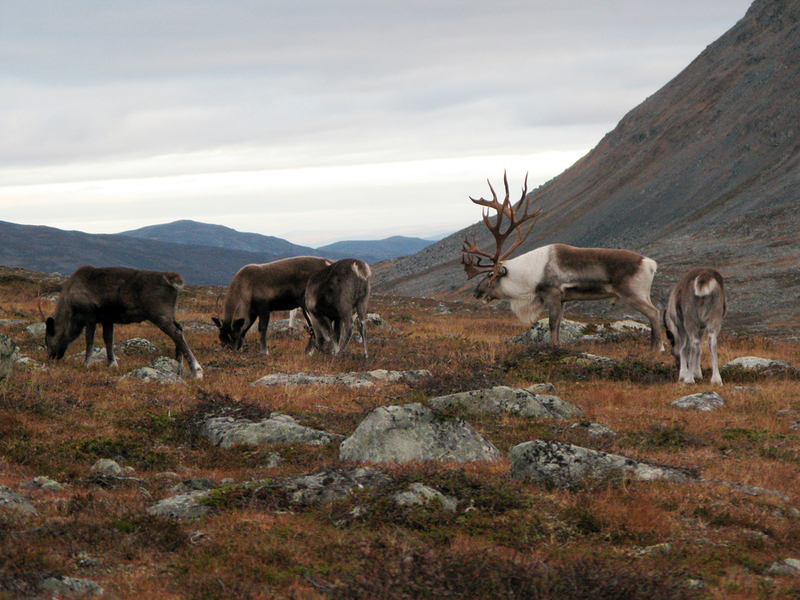 The reindeer herding was not very popular among Sami and the herds were very small still some hundred years back. The large scale reindeer herding started as late as end of 19th century in Finland and the amount of reindeers have increased ever since. Nowadays, the reindeer herders are mainly Finnish (80%) and minority of Sami (20%). Herding is considered as an agricultural activity and is not done in the nomadic way of life like it used to be just a generation or so ago. This means that when the people stay in the one place and don't move with the reindeers as would be their circle of the year in different places for gazing, the reindeers cause more stress to the tundra vegetation. Also, the country borders and the reindeer fences that came with them established in between Sweden, Norway and Finland, prevent the reindeers to move in winter to South and in summer to North. The Ministry of Agriculture and Forestry Finland has decided that the Finnish reindeer herding area can have maximum of ca. over 200 000 reindeers. There is a debate going on what this means to the tundra flora&fauna. The tundra ecosystem and reindeers are obviously essential to travel industry of Lapland. And the tourism plays large role in the economy of the area. The question lays, how to have travel industry that doesn't destroy the vulnerable Northern flora&fauna. Intuitively, my answer would be: such doesn't exist. But again, the reindeer stands calmly in the middle of this debate. Often, when observing different kinds of species, they can show how they are in harmony with the ecosystem or at least with the environment or landscape. A reindeer runs joyfully up and down the hill that takes me ages to climb. The reindeer just does it out of fun, without any particular reason – because they can. They also hide to the colours of the landscape and it's impossible to see them if they don't move. I'm looking forward to continue these conversations in Lapland that indeed seems like a crowded place and a political debate hot spot. Lemmings, voles and hares stayed quiet for now. Warmest thank you to Leena & Oula Valkeapää and Elina Hutton for the great, inspiring conversations. 1.) Reindeers close to Jiekkháš, descent of mountain reindeers (Rangifer tarandus tarandus) which immigrated to the area 9000 years ago. 2.) 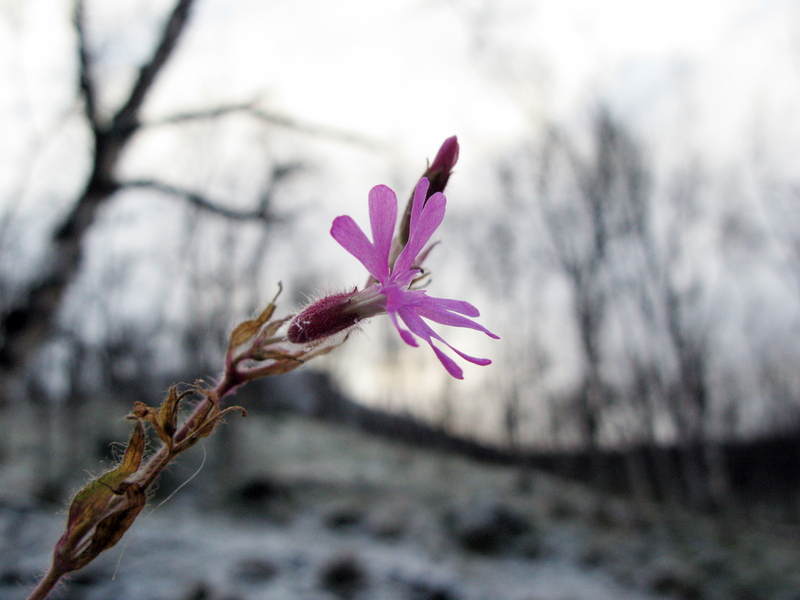 Red campion (Silene dioica), considered immigrant species in Lapland. 3.) 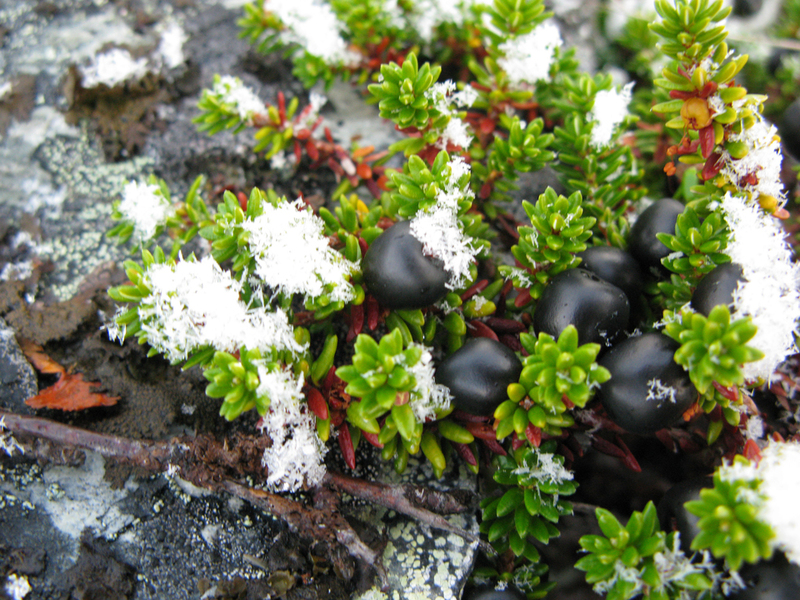 Crowberry (Empetrum nigrum), considered local tunrda species. Immigrant status unknown.